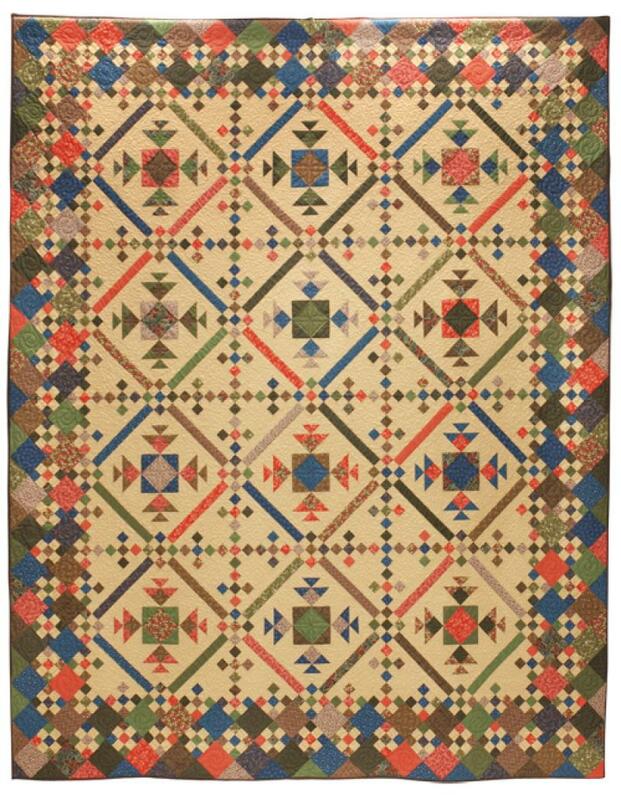 This wonderful scrap-look quilt is just great displayed on a bed! You will select 18 assorted Dark prints for this quilt, selecting prints from 3-4 color families. You'll need 1/2 yard pieces of 12 Dark prints and 3/8 yard pieces of the remaining 6. Only one background print is used; you'll need 5-1/2 yards.